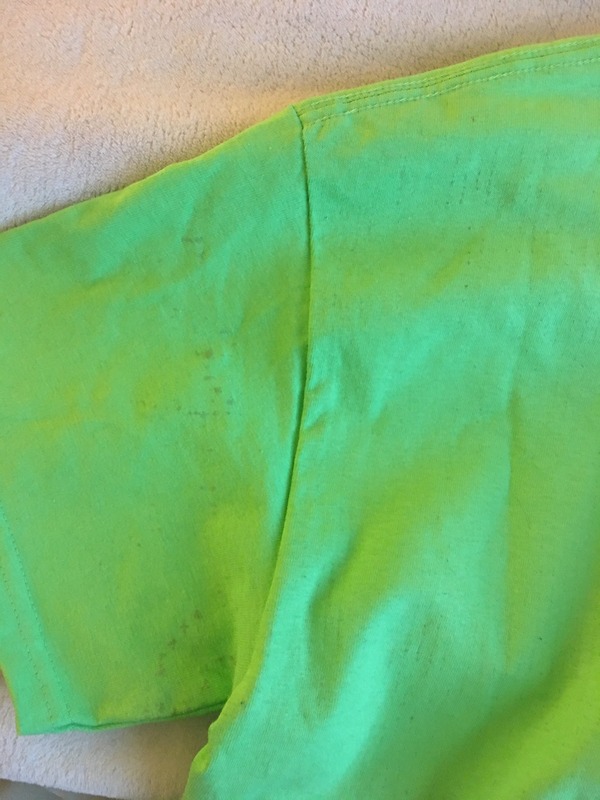 Shirt came with stains on it. Very disappointed. The fit was great, the color of the shirt was great, but the actual screen print looked like it had been sitting out in the sun for a few weeks and was very faded. But, I needed it that night for a costume, so we made it work! I'm super happy with iFrogTees, the shirt I ordered was exactly like the picture and came within 5 days of when I ordered it.